Enmotus is known for high-end server storage technologies but has decided to partner with AMD to bring acceleration to consumer storage. Compatible only with AMD Ryzen and Threadripper processors, FuzeDrive combines all available storage devices to form a single pool of high-speed data storage. Performance enthusiasts have dabbled with RAM disks in the past. NVMe RAID arrays are offering some viable performance benefits. Mechanical hard drives still rule supreme for affordable mass storage. The majority of consumers will never invest in mass quantities of drives to be able to take full advantage of larger disk arrays. FuzeDrive takes server-class features and brings them down to the consumer level. A B350, X370 or X399 chipset will be able to support Enmotus' software solution to group NVMe, SSD, mechanical hard disks and 3D Xpoint NVMe devices into a single storage volume that remains bootable. Optionally, DDR4 RAM can be added to the drive pool for assured improvements to program load times. One of the benefits of FuzeDrive is the lack of need to reinstall your operating system. FuzeDrive requires a simple install and then a few button clicks to set up a drive pool. A single drive will be presented once the process is complete. This eliminates the hassle of trying to place large programs on mechanical drives and placing more commonly used data on faster SSDs. It should also be noted that there is specifically no support for the A320 chipset yet. 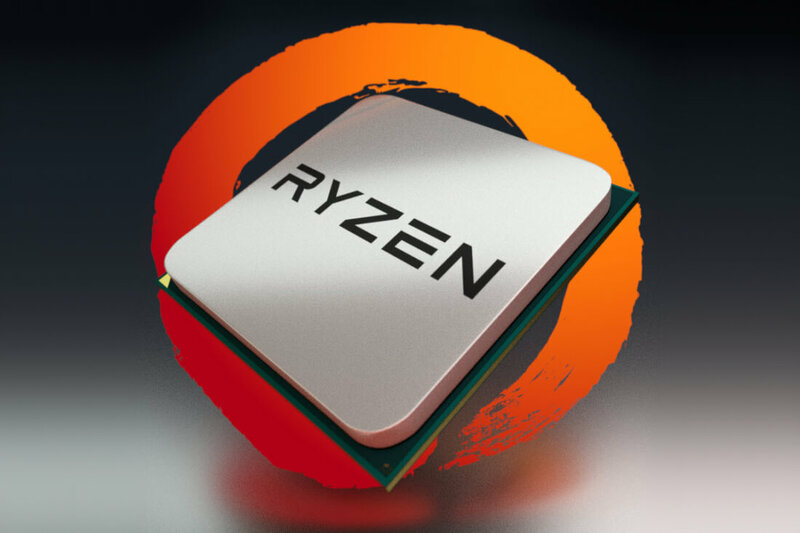 The current version of FuzeDrive for Ryzen is also limited to a 128GB SSD to be used as the Fast Tier option where the most commonly accessed data is stored. AMD has emphasized that no proprietary hardware is required in order to make use of FuzeDrive. Any off-the-shelf storage device can be added in at any time with little effort. This is a very unsubtle dig at Intel's VROC hardware dongle required to boot anything other than a RAID 0 array of SSDs on the X299 platform. Intel SSDs are also required for VROC. If this software is so simple and offers significantly better performance, why doesn't everyone who has a Ryzen or Threadripper processor and supported chipset run out and install this right now? That is a great question and the answer is sure to disappoint many. Enmotus FuzeDrive is not a free upgrade. The software carries a retail price of $19.99 and is available from Enmotus directly. For those curious, software licensing is not restricted based on hardware and can be transferred between systems provided only one copy is running for personal use.